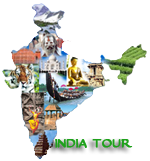 We are travel agents managing entire tourism services professionally. We have own fleet of cars and coaches in Cochin and we co-ordinate all variants of tour packages and activities. We have a team of professionals who are well- experienced and have practical knowledge about the tourism industry of Kerala. We also lay stress and promote properties like hotels, resorts, house boats and home stays that lay stress on hygiene, warm services and believers in total customer?? satisfaction. We believe in long term relationship so our entire team is dedicated to provide customers or tourists with high quality services, so that they have pleasant touring experience in Kerala being with us ? ?Olive Holidays. We keep everything crystal clear and nothing as such ? ?idden Charge?? is their in our services or tour packages.